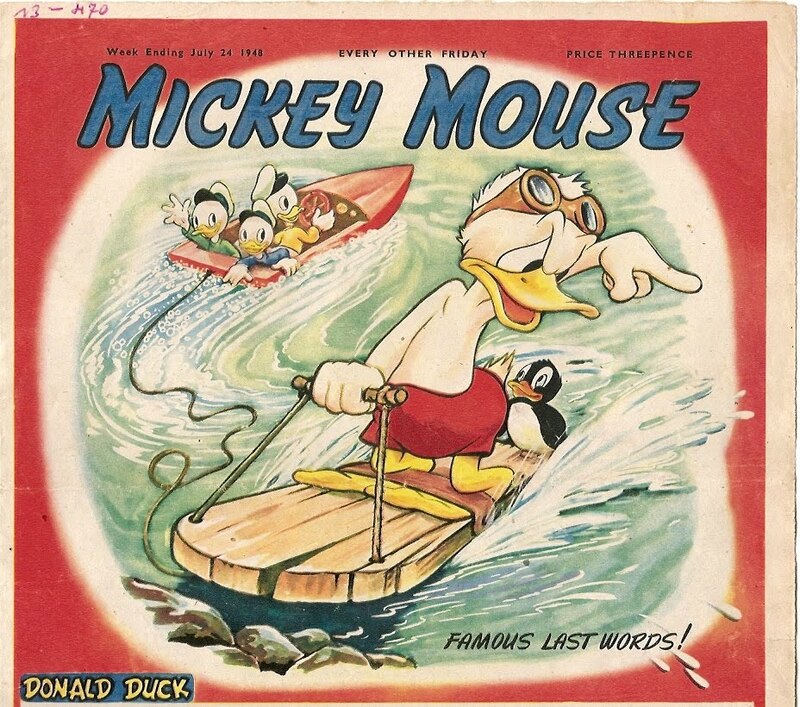 I had covered the evolution of the covers of Britain's Mickey Mouse magazine in the aftermath of the 2nd World War in my post on May 1st. In that post, I had noted that British-made strips had become the norm by 1949. Recently, I've come across an earlier example from 1948: no. 470 (dated July 24th, 1948) whose scan is above. Incidentally, that there was apparently something wrong with the publication of this strip: as far as I can fathom, the title 'Famous Last Words!' is unrelated to the plot..